Cockroaches have an unfortunate reputation, but these are clean creatures and make good pets! Yes, they hiss when you pick them up. Don’t keep doing this, remember they are creatures and don’t ill treat them. 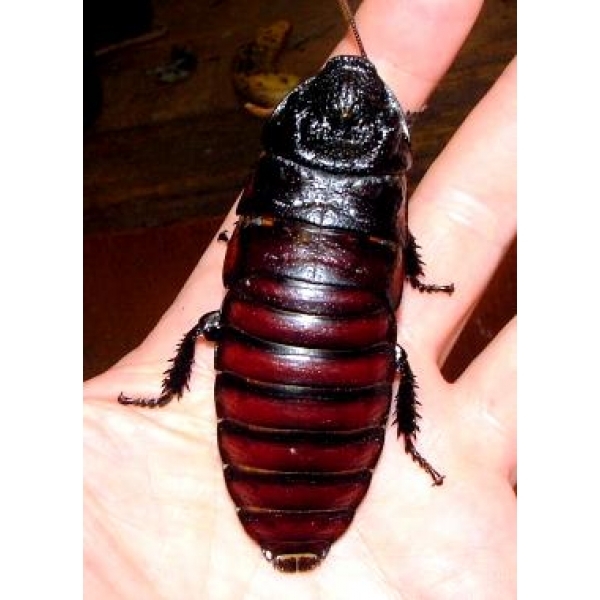 Supplied as young at 2.5cm long or more, they quickly grow to become very large, sometimes up to 12cm long! Keep in a tank with compost in the bottom. Give them some sticks and stones to hide in and live amongst. Feed on fruit, greenery, vegetable scraps, and they like fish pellets.